The situation in Sumatra is getting worse: Mount Sinabung erupted eight times in just a few hours on Sunday. The volcano's continuing eruptions cover everything with ash and now officials have reported rocks raining down over a large area, forcing thousands to flee their homes. These new images show the ongoing drama. 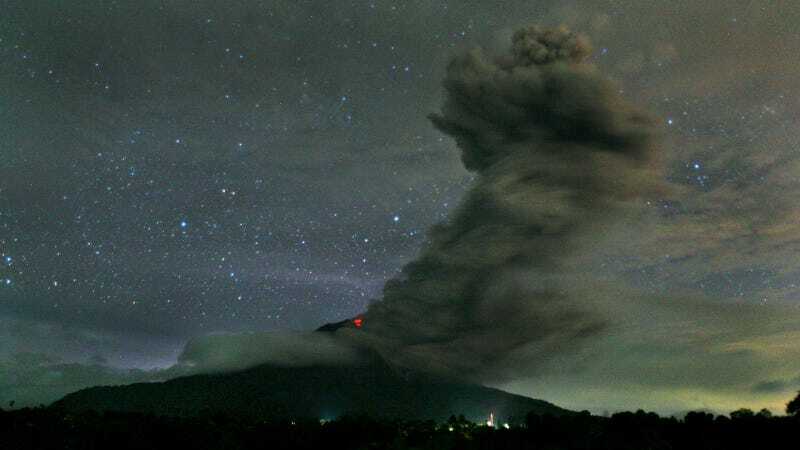 The Indonesian government has called for people living within five kilometres (3.1 miles) of the volcano, on the northern tip of Sumatra Island, to evacuate their homes as the volcanology agency raised the alert level for the volcano to the highest point on a four-stage scale. Top photo: Binsar Bakkara/AP.